Pain isn’t always obvious, but most suicidal people show some signs that they are thinking about suicide. The signs may appear in conversations, through their actions, or in social media posts. If you observe one or more of these warning signs, especially if the behavior is new, has increased, or seems related to a painful event, loss, or change, step in or speak up. If any of these signs are present, call the National Suicide Prevention Lifeline at 1-800-273-8255. "I went home to visit my parents for the weekend. While I was helping my mother go through some of dad's paperwork we found a pamphlet called 'The Right to Die.'" They stockpile medications or show sudden interest in firearms. "My husband used to love entertaining, but after he retired he lost interest in being around anyone, including me." They withdraw or isolate from friends and family. They stop talking to and doing things with others or stop doing activities they once enjoyed. "I don't know if I can go on." They make statements of hopelessness. They increase alcohol or drug use. They show persistent sadness, anxiety, fatigue. They neglect personal appearance, hygiene, don't change clothes for extended periods of time, don't eat or eat poorly. They rush to complete or revise a will. They sleep more or can't sleep and are restless or have a disruption in sleep patterns. "My husband had been dealing with depression. One morning I found him staring at pictures of relatives around the house. He would stare for a minute, then go to the next one. He was trying to say goodbye." They give away possessions, indicate they are saying farewell or end relationships. "We were best friends, but we didn't see each other much anymore when she moved. We'd talk online every day, until she stopped all communication. On her facebook page, she had taken down all the pictures of us and her family. She hadn't posted anything in weeks, and changed her profile picture to a picture she'd drawn of a coffin." They withdraw from friends and family, stop talking to and doing things with others or stop doing activities they once enjoyed. They feel isolated. "My daughter was so athletic and energetic, but suddenly she wanted to sleep all the time." They sleep more or can't sleep and are restless. They act in ways that could be dangerous or detrimental and do not seem to care about the consequences. "She hated drugs, or at least she used to. Now it seems she's always high or wanting to be. She told me she just wanted to hide from all the problems in her life." They are drinking alcohol or using other drugs. "He was always so calm; he never had a temper, but after his girlfriend broke up with him he was so angry and was easily irritated by everyone. I never knew what would trigger him." They show a significant personality change. "He was the life of the party. People loved him, especially the ladies. He always dressed nice, but after his dad died, he changed. He started to look like he just rolled out of bed all the time." They have an unusual neglect of personal appearance, lack of personal hygiene, and stop caring about even basic grooming. They frequently complain about physical symptoms, often related to emotions, such as headaches, stomachaches, fatigue, etc. They lose interest in pleasurable activities they once enjoyed. "I always told her how much I loved her necklace. One day after school, she handed it to me. She insisted I take it and said she wouldn't need it anymore. The next day another friend of ours told me that she had given her favorite dress to her. She was giving away all the things she cared about." They give away favorite possessions or throw away important belongings. They become suddenly cheerful after a period of depression. "We used to get together for a beer once a week, then I found out he'd been driving home drunk every night, and I realized it wasn't just the alcohol that was the problem. He was trying to hurt himself." They increase use of alcohol or drugs. "My friend used to say things like 'I just can't take it anymore, I just want to end it all." Their statements might be subtle or vague. They may be direct and literally say they are going to kill themselves. Thoughts may be reflected in something written or drawn. "My husband used to be so calm, but he began to get so angry all the time. He never used to have a temper." They express or act in ways that reflect hostility, bitterness, or resentment or rage. They talk about seeking revenge. "People always called him a daredevil doing such dangerous things all the time. He always drove too fast, then began drinking and driving. When I found out he crashed his car, I wasn't sure it was just an accident." They act in ways that could be dangerous or detrimental and they do not seem to care about the consequences. "He was making outrageous purchases; expensive tools, a motorcycle that we couldn't afford." "What does it matter? Nothing is ever going to change. It's never going to get better." They don't see their situation or life changing for the better and don't see a way out. They make statements that hint that life seems pointless. "I don't want my family or friends to have to worry about me anymore." They feel like a burden to others. "What I do doesn't matter. I'm a lost cause." "My girlfriend used to be so happy-go-lucky but now she gets anxious over even small things. She always seems to be near panic." They appear nervous, shaken or worried. "For ten seasons, my coworker and I played on a baseball team together every Sunday. At first he started coming late, then skipped a game or two. When he did show up for a game, he wasn't very energetic or talkative. Then he stopped showing up altogether. When we saw each other at work, he would just nod and walk by." They stop talking to and doing things with others or stop doing activities they once enjoyed. They feel isolated. "He kept showing me things around his apartment when I came over, like where he kept his keys, money, important papers, and even his will. But he was only 28 years old. When I questioned him, he said 'I'm telling you just in case I'm not here anymore'." They give away prized or favorite possessions. They are uncharacteristically sad or depressed or are unusually happy or content after a period of significant depression. "I think they’d be better off without me." Talking about being a burden to others. Views that one’s existence burdens family, friends and/or society. "Are you thinking of ending your life?" Few phrases are as difficult to say to a loved one. But when it comes to suicide prevention, none are more important. Here are some ways to get the conversation started. Visit the Reach Out section of this website for a list of national and local resources. Before starting a conversation with someone you are concerned about, be prepared. Have a list of crisis resources on hand. Practice what you will say. Plan the conversation for a time when you won’t be in a hurry and can spend time with the person. "I've noticed that you've mentioned feeling hopeless a lot lately…"
"Sometimes when people feel like that, they are thinking about suicide. Are you thinking about suicide?" You may phrase the question in a different way. If they answer "yes" to your direct question about suicide stay calm, and don't leave the person alone until further help is obtained. Call 9-1-1 or the National Suicide Prevention Lifeline at 1-800-273-8255. "I can imagine how tough this must be for you. I understand when you say that you aren't sure if you want to live or die. But have you always wanted to die? Well, maybe there's a chance you won't feel this way forever. I can help"
"I'm deeply concerned about you and I want you to know that help is available to get you through this." "Do you have any weapons or prescription medications in the house?" "Is there someone you can call if you think you may act on your thoughts of suicide?" "Will you promise me that you will not drink or at least have someone monitor your drinking until we can get you help?" "Please promise me that you will not harm yourself or act on any thoughts of suicide until you meet with a professional." "I understand if it feels awkward to go see a counselor. But there is a phone number we can call to talk to somebody. Maybe they can help?" "You're not thinking about suicide, are you?" OR, "You're not thinking about doing something stupid, are you?" "Fine! If you want to be selfish and kill yourself then go right ahead! See if I care." Don't Say: "Don't worry, I won't tell anyone. Your secret is safe with me." Don't promise secrecy. The person may say that they don't want you to tell anyone that they are suicidal. Say this instead: "I care about you too much to keep a secret like this. You need help and I am here to help you get it." You are not alone in helping someone in crisis. There are many resources available to assess, treat and intervene. Crisis lines, counselors, intervention programs and more are available to you, as well as to the person experiencing the emotional crisis. This free, 24-hour hotline is available to anyone in suicidal crisis or emotional distress. 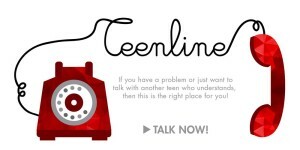 You can also call or chat with the Lifeline if you are concerned about someone else. Click here to visit their website. Visit the web site to learn more about the opportunities Directing Change offers to engage youth in mental health and suicide prevention through programs and resources for schools and youth groups and an exciting annual film contest. Join California’s mental health movement. By adding your voice, you can advance mental health awareness and end stigma. The Resource Center includes a wide range of Know the Signs campaign materials, toolkits, and other educational resources. All materials are available for free download. To find local suicide prevention trainers or training, including ASIST (Applied Suicide Intervention Skills Training) and safeTALK workshops, esuicideTALK information and more, contact Kathleen Snyder, 925.939.1916 x147 or [email protected]>. Text “EMM” to 741741 to text confidentially with a trained crisis counselor for free, 24/7. There are several excellent trainings available to the public that teach the knowledge and skills to be an effective "gatekeeper" for people who are thinking about suicide. A gatekeeper is someone who is able and willing to help someone thinking about suicide get professional help. If you are bereaved by a suicide death, you may be in search of support for yourself and other loved ones. There are resources available online and in many communities that are specifically for people who have lost a loved one to suicide. The SAS program is a support group offered through Didi Hirsch Mental Health Services. Only those who have lost a loved one to suicide are eligible to participate in the support group. Friends For Survival, Inc. is a California-based outreach organization open to those who have lost family or friends by suicide, and also to professionals who work with those who have been touched by a suicide tragedy. FFS also offers monthly support groups. The AFSP's Suicide Survivors Outreach Program has trained volunteers who conduct in person visits to newly bereaved family. They also provide information about support groups and other local resources. Visit the website to find out how to request an outreach visit. AAS provides a variety of resources and educational materials for bereaved family and friends including locating a support group and how to facilitate your own survivor support group. Now you know the warning signs for suicide and how to have a direct conversation with someone who may be in crisis. But don't keep this important information to yourself. Help us educate others by sharing this website with friends, family and loved ones through facebook, twitter or email. Because together we have the power to make a difference, the power to save a life. I thought you might like to know about Know the Signs, a campaign taking hold in California to raise awareness about suicide, how to recognize the warning signs, how to have a direct conversation with someone you are concerned about and where to find support and resources to help. I visited the campaign website and now I know the signs. Do you? Visit www.SuicideisPreventable.org today, to learn the warning signs and how you can be there for a friend or family member when it matters most.